will 'obliterate' an Arundel forest. Applicant Forest Holidays LLP has requested pre-application advice from South Downs National Park Authority (SDNPA) to devise a development plan for submission. 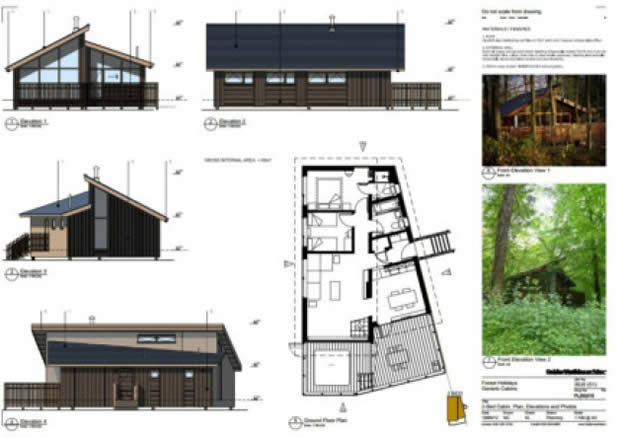 The proposal will be to build 75 timber lodges in Houghton Forest, a Forestry Commission England wood in Arundel. A Banners Gate Highways and Transportation document on the SDNPA planning portal states that the cabins are 'intended to provide a relaxing holiday experience within the forest setting'. But a spokesperson for newly formed action group 'Save Houghton Forest', John Cornford of Madehurst, said the development will 'destroy a beautiful amenity'. "It's a very popular site that people come for far and wide. It will obliterate the site and destroy a beautiful amenity," he said. Residents living close to the proposed site have flooded the SDNPA planning portal and forum with objections to the pre-application. Antonia Morris-Warburton of Pulborough, submitted a letter of objection which states: "Houghton Forest is a haven away from roads and criss-crossed with pathways and tracks to explore. Why does one company have the right to monopolise on this area and charge people for the right to use and stay within it?" James Tolson of Amberley also submitted a letter of objection that lists a number of reasons to reject the application, including 'the noise and light pollution', 'the loss of tranquillity', 'the problems of waste management', and 'the safety of access to the site on a minor road'. Director of Planning for the South Downs National Park Authority, Tim Slaney, said: "This is being treated in the same way as any other development of this scale in the National Park. "The developers contacted us to ask for pre-application advice which we will provide and make available for everyone on our public system. "We also recommended that they start conversations with the local community as early as possible, which they are doing. They haven't submitted a full planning application yet but if and when they do it will be open to a full public consultation and all comments will be taken into consideration by the National Park Authority Planning Committee when they make their decision."